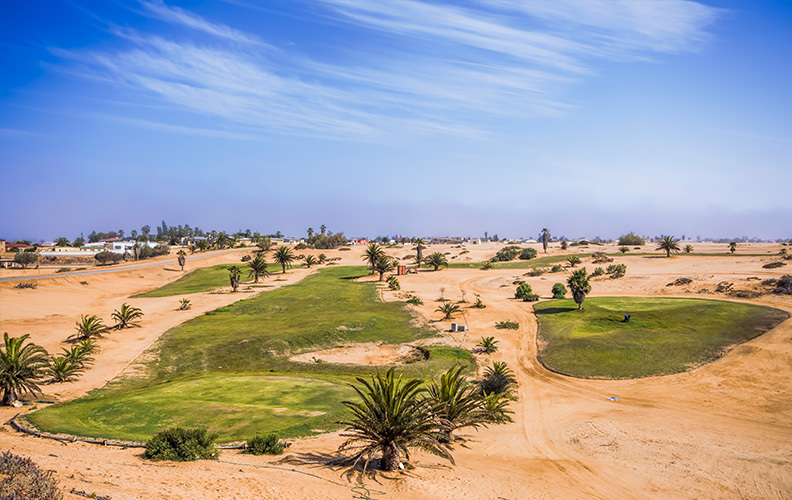 The golf course, in itself an attraction for many tourists who regard the sandy fairways as a challenge, is laid out in an old bed of the Omaruru River delta known as the Valley. 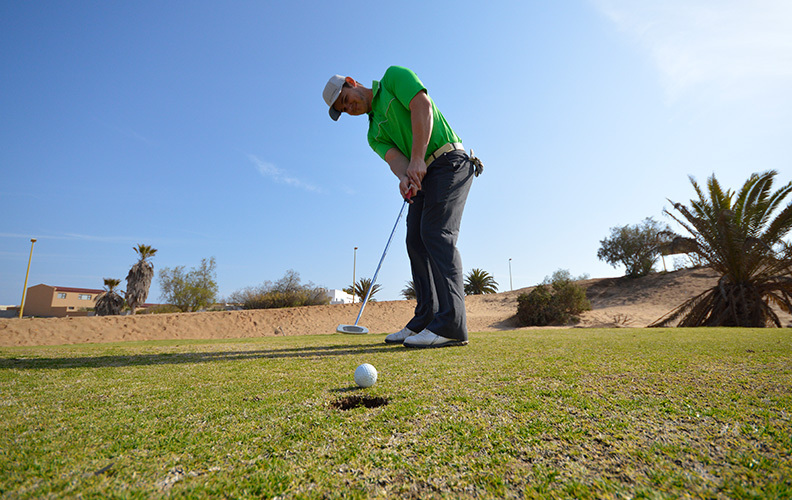 It is a nine-hole golf course, extending over a distance of 2.7 km and has very well tended grass greens and tees while the fairways are virgin desert sand. There are three par 3, two par 5 and four par 4 holes. Golf competitions are organized regularly, especially during the December holiday season, and on other days visitors can play for a minimal fee. Players have to provide their own golf clubs.